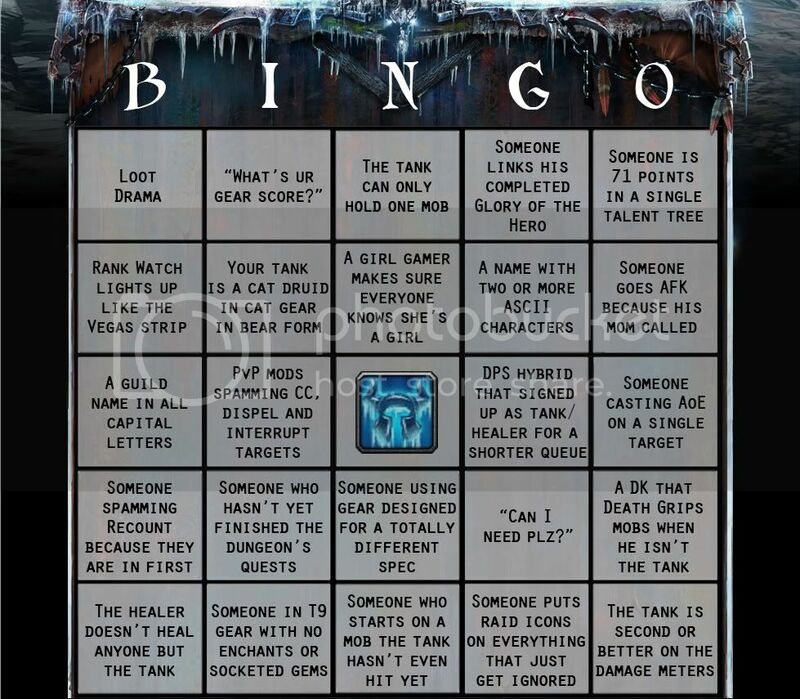 Ten Ton Hammer | Let's All Play WoW PUG BINGO! 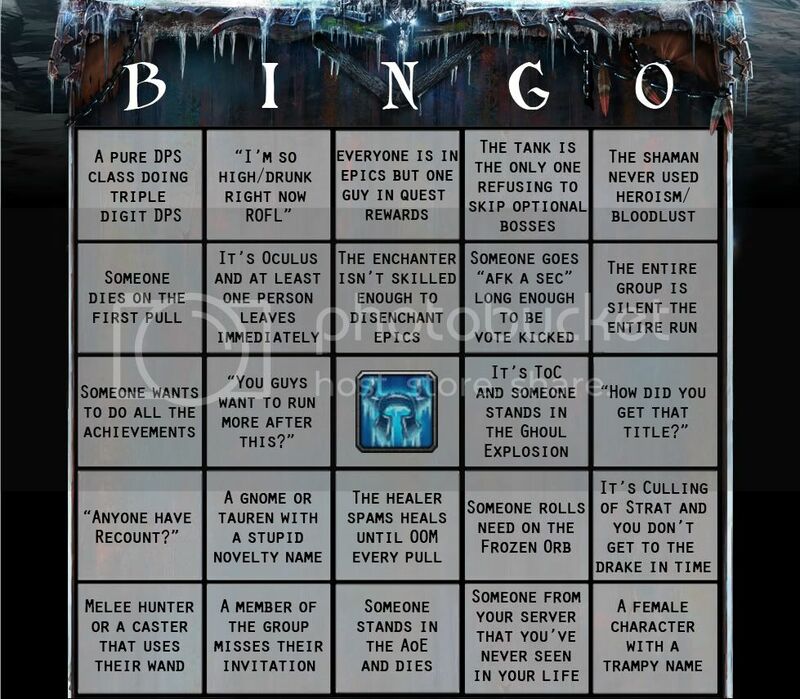 Let's All Play WoW PUG BINGO! This will surely become a new classic method to do PUG groups in the World of Warcraft. This will surely become a new classic method to do PUG groups in the World of Warcraft. Posted by Cruce from the Scarlet Crusade server, this is a brand new method to participate in PUGs and to get a few laughs out of some of the horrendously bad groups that you get stuck with. Print them out and give it a shot one night. 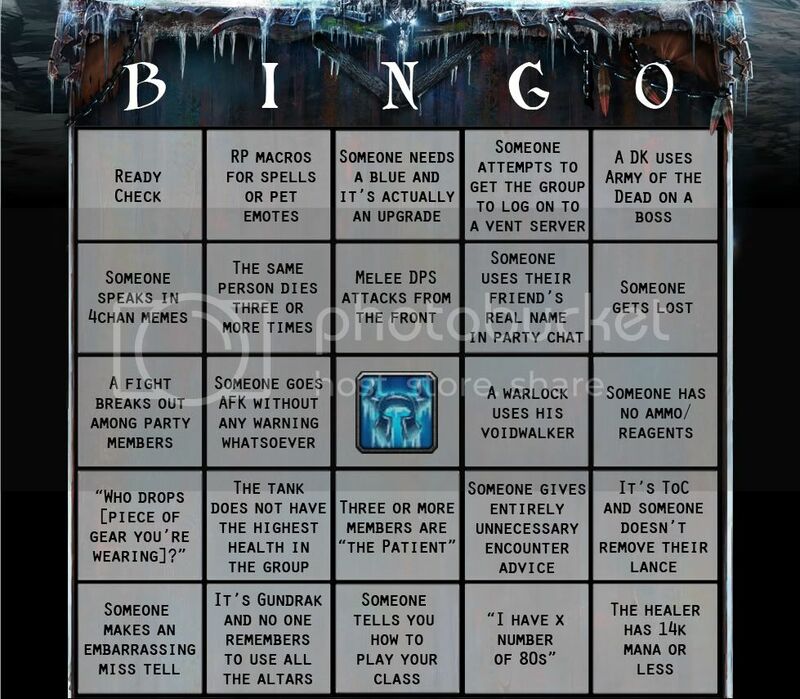 My guild is playing randoms tonight until someone gets a blackout. Thanks Cruce, this is hilarious! I made a little something to make earning those Emblems of Frost more enjoyable. Special thanks to everyone reminding me of things I had forgotten and all those PuGs out there giving me new material. Enjoy, and go for blackout! Join us in the forums and help come up with other crazy ideas, maybe we should all come up with cards to submit!